Keith and Jane Davidson run a herd of 200 pedigree Ayrshire cows at Halmyre Farm near Castle Douglas. The herd averages 8598kg at 4.15%bf and 3.38%p on twice a day milking, with a calving interval of 403 days. Currently the herd comprises of 21 Excellent and 48 Very Good classified cows. The herd was established in 1949 under the East Glenarm prefix before changing to Halmyre Urr in 1952. Many cow families trace back to original purchases in the 50’s more recently, families have been purchased from Barr, Knockenjig and Morwick herds. Heifers are regularly sold freshly calved at pedigree and monthly sales at Carlisle or can be purchased privately from the farm. Keith and Jane Davidson pride themselves in breeding Ayrshire cows at Halmyre where the farm is a family affair with son Colin working at home on the farm and daughter Katie who takes an interest in showing cows, as well as helping with PR and Marketing of the herd and other businesses. 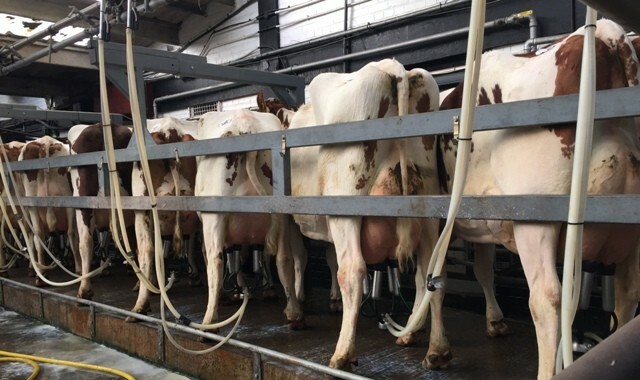 Breeding in the last 15 years has seen the inclusion of Red and White bloodlines with a view to creating a more productive and marketable dairy cow, aiming to keep the percentage about 50% Ayrshire. Surplus heifers are regularly sold freshly calved at commercial and pedigree sales at Carlisle. The farm itself consists of 445 acres (180 hectares), 220 acres of silage is taken for a first cut, with 190 acres second cut and 50 acres usually baled as a third cut. A further 50 acres of spring barley is harvested as whole crop for two years and then reseeded. Major highlights for the herd in recent years include the 2005 All Britain All Breeds Calf Show, Stoneleigh, where judge Brian Carscadden tapped forward Katie as champion, Kyla reserve and Colin honourable mention handlers in the Ayrshire section. The following day Halmyre Urr Louise 175 took the Ayrshire calf championship and then honourable mention in the interbreed championship. 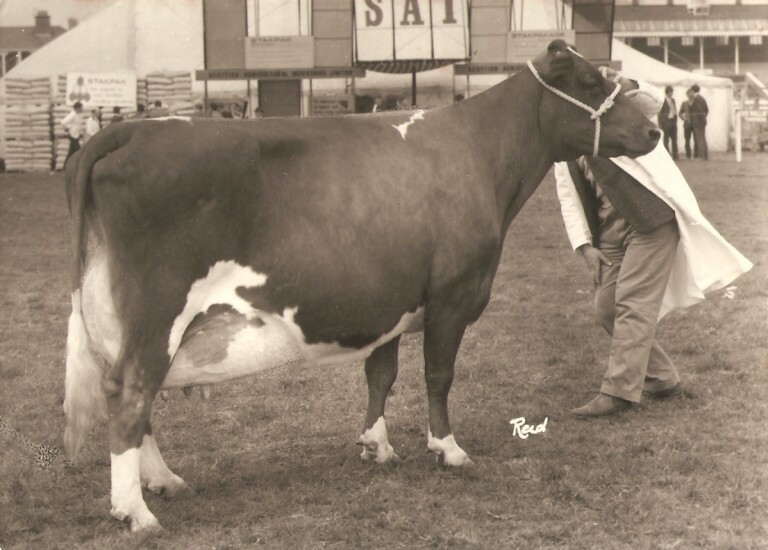 In 2008 Halmyre Urr Louise 175 came to the fore in her second lactation winning the dairy interbreed and supreme of show at Ayr Show, Ayrshire champion and reserve interbreed at the Royal Highland Show, interbreed champion at Dumfries Show and supreme of show at Stewartry Show. 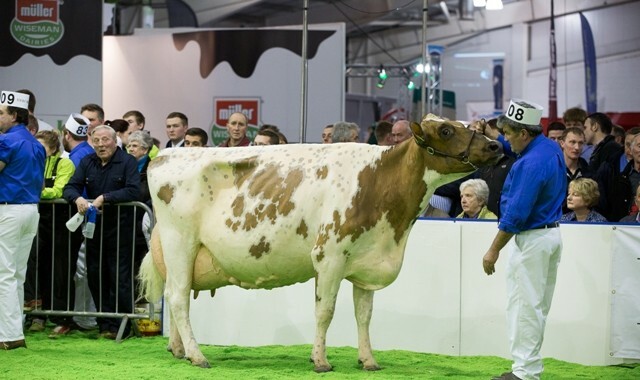 The herd also won the Murchland Trophy for the highest placed Ayrshire herd in the RABDF NMR Gold Cup in 2010. Halmyre Urr Floralin 144 won the herd’s first ever interbreed title at the Royal Highland Show in 2012, she then went on to win interbreed champion at Dumfries Show the same year.